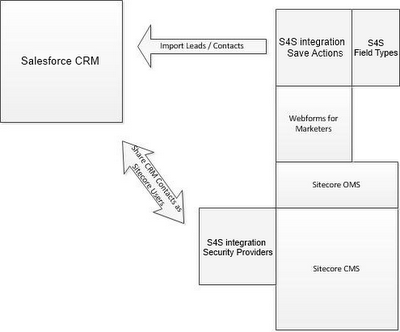 S4S (Sitecore 4 Salesforce) is a product I've been working on at FuseIT. 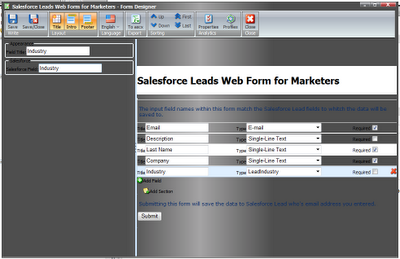 It can be used with the Sitecore Webforms for Marketers (WFFM) module to import data into Salesforce entities. 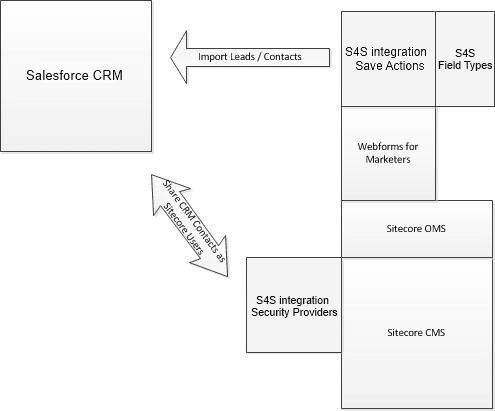 After installing S4S and configuring it to your Salesforce API user you can create WFFM forms that can insert data into Salesforce. 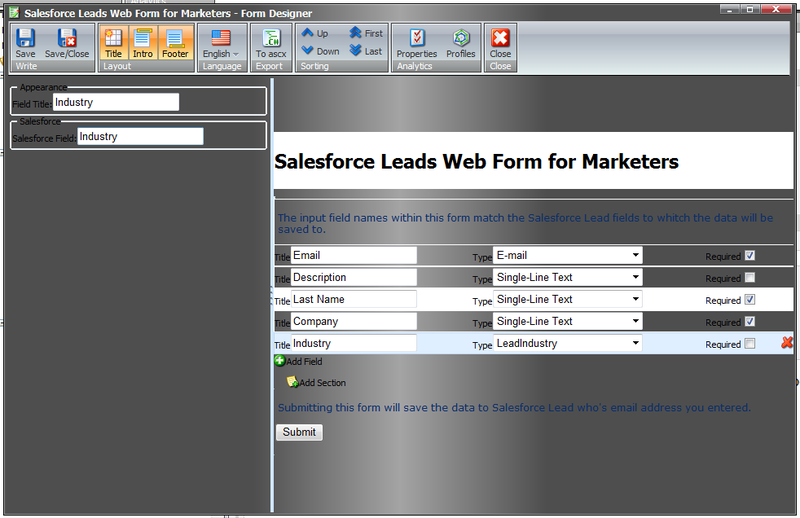 These forms can have fields that are populated with data from Salesforce. 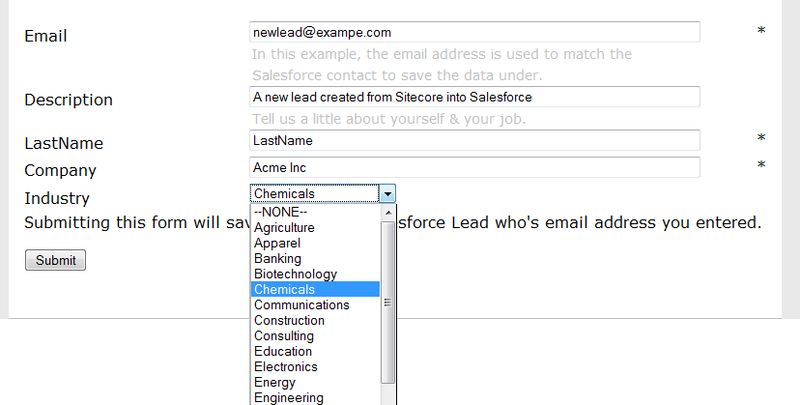 So, for example, you could have a lead capture form that includes a drop down list of industries defined in Salesforce displayed in Sitecore. 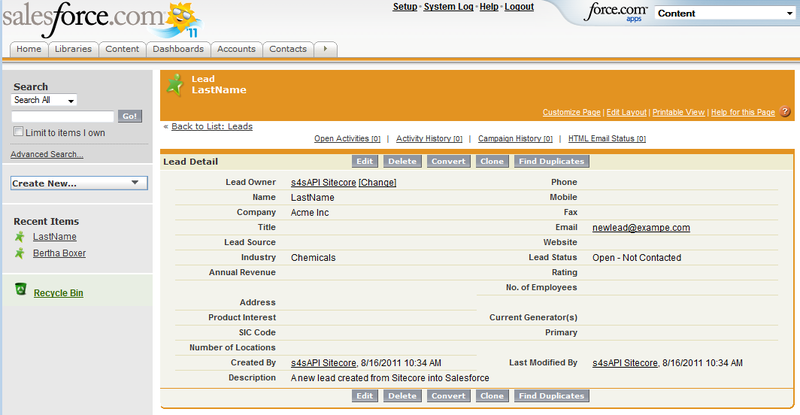 When the user submits the form the data is saved back to Salesforce via S4S to create a new lead. 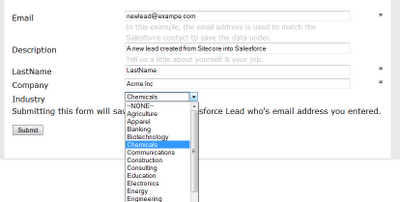 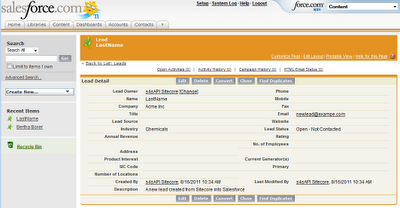 Note the industry drop down list with metadata from Salesforce.